The Fellowship was fortunate enough to obtain a copy of ROMULUS #1 from Image Comics and Top Cow Productions. Bryan Hill writes, Nelson Blake II draws and colors, and Troy Peteri letters. Ash is a young woman trying to get by in a world that’s foreign to her. That’s because she was raised by an assassin who until recently worked for a secret order. Ash and her mom realized that the order was evil, and Mom gave her life so that Ash could escape. Now Ash has to bring down Romulus, and she’s going to need help to do that. There’s a lot of emotion in the beginning of this story, and not all of those emotions are the ones you’d expect. Ash has a lot of doubt, especially for a well-trained assassin, but she also has love and fear and anger and concern for others. To pack all of that into a 22-page issue is quite a feat, and the effect is very compelling. As well written as this story is, the art really brings it together, showing us both Ash’s feelings and her ability to fight and kill, with seamless transition between the two. There has been a lot of talk about this book, and it totally lives up to the “hype.” It’s a great underdog story and ninja killer story and conspiracy story all rolled into one. 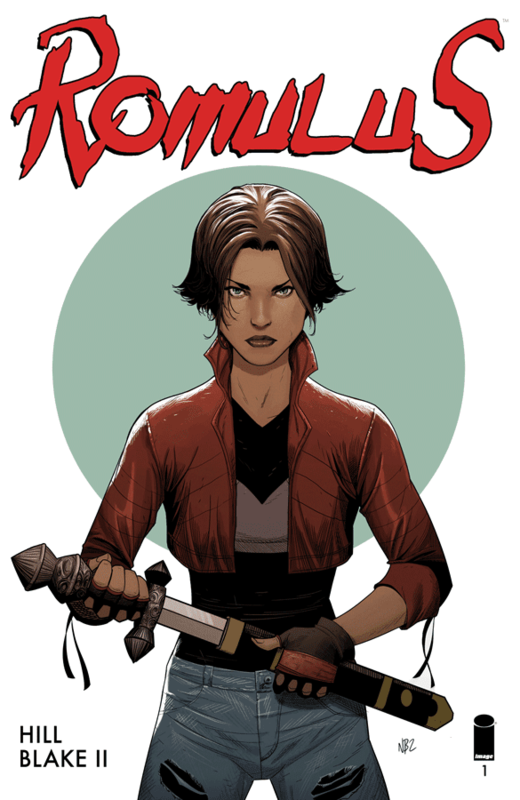 ROMULUS #1 is available now at your FLCS or at imagecomics.com.